Valentine Greetings It is really quite hard to decide, Whether this man is Jekyll or Hyde. If you give him a tip There's a smile on his lip, If you don't, -the smile you are denied. 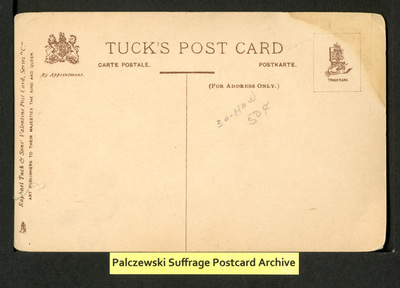 Verso: Raphael Tuck & Sons' Valentine Post Card, Series "C."